When my father was teaching me to repair a printing press — yes, it was 50 years ago, before printers gave way to bloggers — he would tell me to fix all the underlying problems rather than doing just enough to finish the job that day. Otherwise, the bad press work would continue, and I would be fixing the problems one at a time for days, wasting a lot of paper. Thinking of Alaska’s fiscal structure the same as a printing press, the big underlying issues — other than taxes — are the level of state-funded community services and the amount of the dividend. Finding a compromise that works for just one year means the machinery will continue to struggle as it comes up against the same political fights every year. If we could repair the system to run well into the future, think of the paper we would save. I believe the formula for calculating the dividend needs repair. The governor and others point to the statutory formula for the annual payment as if Moses himself carried it down from Mount Susitna — though I don’t think Moses was running for office at the time. The formula is just a law, and laws can be changed. This one should be changed. When the Legislature in 1982 approved the dividend formula based on Permanent Fund earnings, North Slope oil production was headed straight up to its record 2 million barrels per day in 1988. We were rich, oil paid for most everything in the state budget, and few talked of sharing the fund earnings for public services. In 1982, the Permanent Fund was invested entirely in low-risk, low-return certificates of deposit and bonds. There were no investments in stocks, hedge funds, private-equity offerings or start-ups. The projected earnings looked about as stable as Arctic sea ice. But the ice has changed during the past 37 years, and so has the Permanent Fund. The state’s oil-wealth account is now heavily into stocks, private equities and other potentially higher-return investments. The 1982 dividend formula, based on slow-growing, mundane investments, does not reflect today’s Permanent Fund. The 1982 formula, with its unaffordable $3,000 dividend for 2019, denies the reality of our community needs. Besides, the dividend as now calculated has absolutely nothing whatsoever to do with financial reality in the state. The Permanent Fund’s investments can be doing well, generating fat profits for the dividend formula, all the while oil prices and production are down and our communities are struggling to afford good schools. Sounds like today. We need to change the calculation so that the size of the dividend relates to Alaska, not Wall Street. In the corporate world, dividends reflect an entire company’s fiscal health, not just that of a single subsidiary. However we might change the dividend calculation, we should not stray from last year’s legislative achievement that set a limit on annual withdrawals from Permanent Fund earnings for community services and dividends. Without that limit, the risk of extracurricular, extemporaneous, extraordinary draws on the fund for political whims such as the politically popular “back pay” of past dividends threatens the long-term health of the fund. One possibility would be to link the amount of the annual dividend to state general fund revenues. When new oil fields come online, when oil prices are up, when future tax revenues add to the treasury, the money can pay for quality schools, good roads, senior services. And we could afford higher dividends. When revenues are down, so goes the dividend. Just like in the real world. I would suggest a baseline — say a $1,000 dividend. Then set up a formula, whereby any increase — or decrease — in state general fund revenue from the immediately preceding fiscal year is shared between a larger (or smaller) dividend and whatever community needs (or savings) the Legislature (which represents the public) decides to address. Certainly, there are other ways to change the 1982 dividend formula to make more sense for the 2020s and beyond. Don’t do it, some will decry. 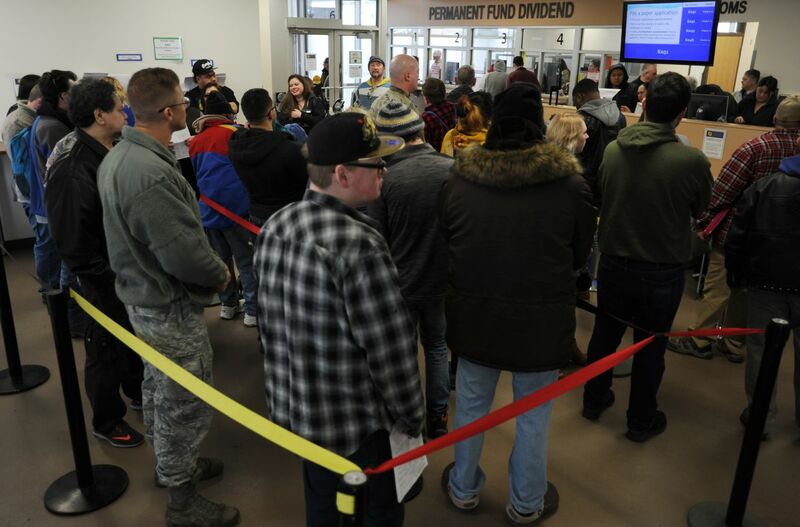 They say the dividend is the only reason that many Alaskans pay attention to the Permanent Fund. Break that hard connection, tie the dividend to another set of numbers, and Alaskans could care less what happens to the savings account, exposing it to irresponsible spending. If it’s gotten that bad, there is no hope for us. Moses would be right to smash the stone tablet at our feet.